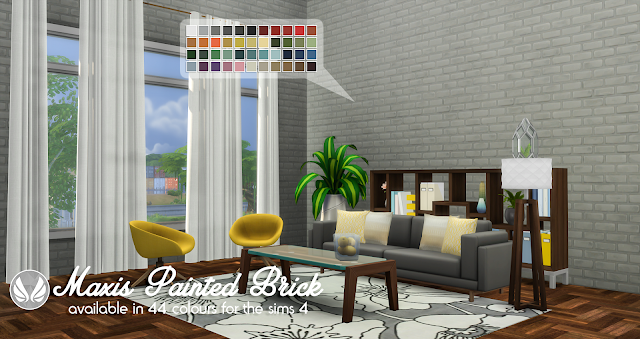 I wanted so maxis match painted brick to match the siding I made last week, so i went about making some for my use. I think they turned out quite well and work for both interiors and exteriors. We need more brick, both painted and unpainted, we can never have enough.